If you’re curious about what it takes to create the best van conversions, our frequently asked questions section can help explain everything from beginning to end. We understand you might have queries about our processes, so if you find you still have something you want to know, see our about page or get in touch! Do Vantastec convert their own vehicles? We do, and we’re very proud of them! We converted all the vehicles you’ve seen on our website. Are you a GAH approved installer? We are! We’re also approved installers for most refrigeration units. Which fridges do you recommend? For reliability and aftercare service, we highly recommend GAH. Why should I buy from Vantastec? Our customers come first at Vantastec, so every step of the process has you in mind, from beginning to end. We’ll always make sure the van you’re looking to purchase has the specifications you need and the bespoke installations to fit your business. 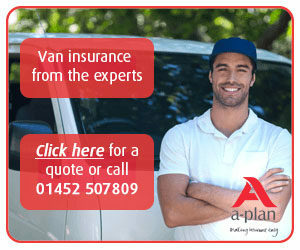 We also all our van conversions in-house, meaning we guarantee the best quality installations on your van. We’re really proud of our work and keep ourselves to a high standard. As an added benefit of going directly through us, you remove any middle-man, reducing costs and how long it takes for you to receive your van. We’ve been operating since 2006. Our birthday is on the 2nd of February! Come on down, we’d love to show you around! Not that we’re bragging or anything, but we think we also have the best coffee in south Wales. How long does it take to convert a vehicle? Typically, our van conversions last between 2-3 weeks. More bespoke vans might take between 5-6 weeks. Can you convert my personal van? We’d love to see what we can do for you. Email us at sales@vantastec.co.uk with your query, or call us on 01443 811 630 to discuss it with us. Which manufacturers do you convert? The main ones you’ll see on our website are Ford, Citroen, Peugeot and Renault, but we convert all manufacturers – just ask! I couldn’t find what I was looking for online. Could you make a van fit to my needs? We can indeed! We’ve been fitting tailor-made conversions for our customers and we’ve made some some very interesting things in our time. What we do is entirely up to your imagination and our specialist team will be more than happy to help make your dream a reality. We love making bespoke conversions for our customers and nothing is too difficult for us. 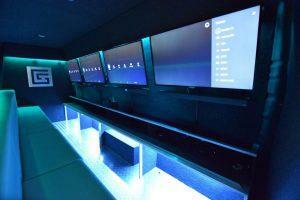 On the left is our incredibly exciting gaming van, fit with four high-definition televisions, PS4 and XBOX ONE. Most vehicles are preregistered a day before delivery to the customer. Log books are issued by the DVLA and should be dispatched within five working days. How long can I expect to wait for my van after purchasing? A typical conversion can take between two and three weeks, depending on the level of conversion. If the vehicle is ready and in-stock, you can collect or have it delivered to you in five days. Yes. 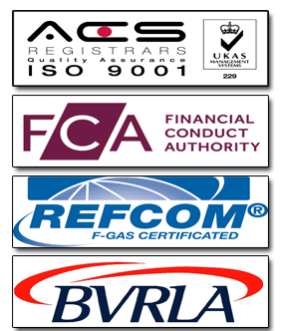 Vantastec Ltd are recognised by most financial institutions and we’re more than happy to directly invoice the finance house. We do! Even better – delivery is free on purchase of our refrigerated vans in the UK mainland, though Scotland and Northern Ireland will incur a surcharge. I’m looking to lease a fridge van, but I only need it for a short amount of time. Can I do that? At Vantastec, we offer flexible and affordable rentals on our fridge vans. Whether you want it for a few days or a couple of months, we can arrange a plan tailored to your needs. Our short term rentals start from as low as £85 a day when you collect. We consider all part exchanges, but our requirements are under 100,000 miles and under five years old. Anything over this will be underwritten. I'm outside of the UK. Can I still buy a van? Vantastec have customers in New Zealand, the Caribbean and the UAE. We’re capable of selling to most countries so have a chat with us and we’ll see what we can do as we’re more than happy to look into it! Do you have any tips on how best to use a fridge van or trailer? How long does it take to chill goods? The simple answer is as long as possible, but we recommend at least 24 hours. Our vans have powerful refrigeration equipment and the cab control panel should indicate 2°c in less than an hour. It is important to note this will be the air temperature and not the actual product temperature. There are a number of factors that affect how quickly items loaded at ambient temperature will take to chill. This includes the packaging, the initial temperature of the product and the temperature outside of the van. Cases of wine will lose their heat faster if not stacked closely together. Setting the fridge controller (freezer spec only) to -5°c may also help remove the heat more quickly, but this may start to freeze bottles on the outside edge of the load after a few hours. What temperatures are best for my goods? Do I need to keep the engine running to run the fridge unit when it's parked? No – Most of our refrigerated vans have an overnight standby which is a single phase 240v hook up (blue round plug). This is ideal for when the van needs to be stationary while loaded for catering events or parties. What are the standby power requirements? Standard 13-amp domestic supply. If possible, do not use extension cables and never power any other equipment from the same socket if you do. Alternatively, a 6kVA (minimum) single phase generator. It is important you do not share the power with any other equipment without consulting an electric supplier. Please note, we do not supply any leads with our rentals unless you have a trailer booking. These come with a 5 meter lead wired in. Due care must be taken to check the suitability of the power supply since low voltage can result in refrigeration equipment failure. How do I operate electric standby? Turn the power on at the mains socket and then switch the cab control panel on. It is very important you do not extend the standby lead in any way. What qualifications or special licenses do I need to drive your vans? A standard driving license is sufficient to drive vehicles up to 3.5 tonnes, which are our largest hires. What qualifications or special licenses do I need to tow a trailer with your vans? If you passed your driving test before 1st January 1997, you automatically have the right to tow a trailer. If you passed your driving test on or after 1st January 1997, you need the relevant license to tow a trailer. Your driver’s license, both the photo card and the paper counter part. The additional documents must not be more than 3 months old and the address must match the address on the driving license. What if I hold a non-UK license? We must see the non-UK license, together with an International Driving License. Can I still rent from you if I have points on my license? We allow a maximum of 6 points for speeding/traffic offences. Any offences above this does not mean you cannot drive our vans, but we must refer to our insurance company so you would need to call us with the details. Premiums may apply. Yes, we offer limited mileage of 300 miles per day for vans, with excess charged at 19 pence per mile. We also allow for consolidated mileage dependent on the length of hire. Is there a minimum age for renting a van? There is a minimum age of 21, providing a valid driving license is clean and has been held for a minimum of two years. Is there a maximum age for renting a van? We have no maximum age, but may need to refer ages over 70 to our insurance company so please call us if you are over 70. May I take the van abroad? No, we only hire vans for use on the Great Britain mainland. Rigorous servicing and regular testing ensure that our fleet of refrigerated vans are ideal for long distance travel. We do not currently offer any insurance cover. You are required to have insurance to cover your hire and proof will be requested before any hire is commenced. Failure to provide proof of insurance will invalidate any hire agreement without refund. As we do not offer insurance, any personal possessions and goods are not covered against damage or loss, however caused. Do refrigerated units come with warranty? Each refrigeration unit comes with 12 months warranty, subject to servicing within its first 4 months. Do I have to get my vehicle and fridge serviced at Vantastec? No, but you can if you want to. Any qualified agent can service your vehicle for you. Do you offer a service plan on refrigeration? Yes! Please call our service department to arrange a plan. Do your vans come with MOT? All used vans come with a minimum of 6 months MOT. New vans will not need a MOT until the manufacturer’s warranty is up.